The island nation of Sri Lanka has a history that dates back over 2500 years. Ruins of ancient kingdoms, a sophisticated irrigation system, art and literature embellish its landscape and heritage. There are 8 UNESCO World Heritage Sites in Sri Lanka, and 6 of these are cultural sites. 5 of these make up the Cultural Triangle of Sri Lanka that consists of the ancient city of Polonnaruwa, the sacred city of Anuradhapura, the ancient city of Sigiriya and the Golden Temple of Dambulla in the north-central province and the sacred city of Kandy of the central hills. 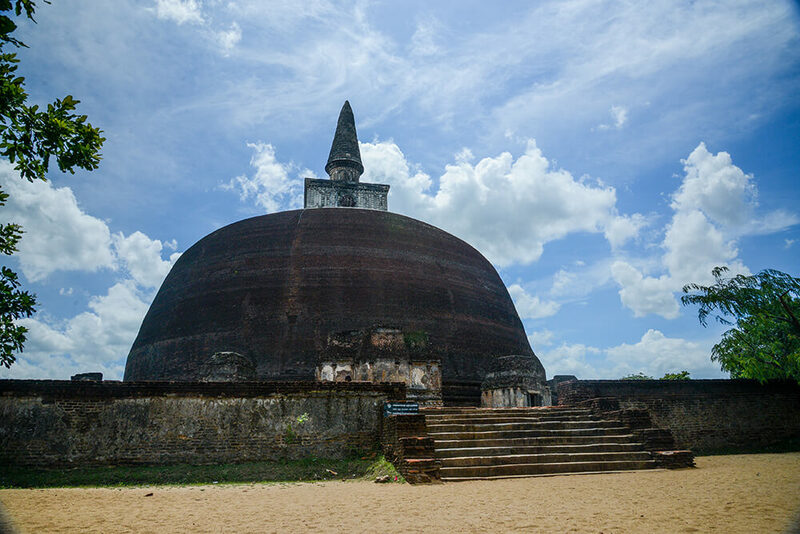 Established around 3rd century BC, Anuradhapura was Sri Lanka’s first capital. It was a political and religious capital that flourished for many years until its abandonment after a South Indian invasion. The Sacred Fig tree, the world’s oldest documented tree, which resulted from a cutting of the original tree where Buddha said to have attained enlightenment, is the main religious attraction here among a wealth of other marvels like the Jetavana, Ruwanweli and Abhayagiri stupas, Lovamahapaya (the Brazen Palace) and Monolithic statues like Avukana. These iconic structures lie among the ruins of several monasteries and palaces across the town. 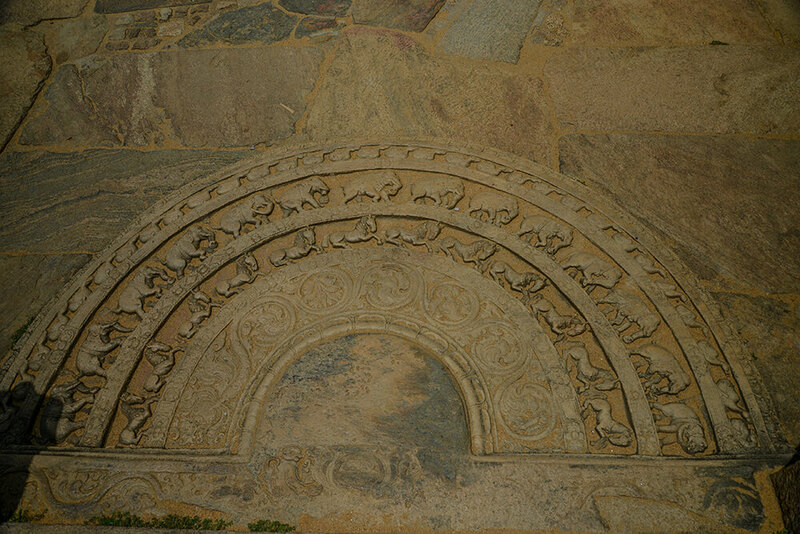 Polonnaruwa, the 2nd kingdom of Sri Lanka is another place of incredible cultural importance containing medieval legacy. The Parakrama Samudraya, the largest ancient manmade reservoir of Sri Lanka that still is the primary water supplier to the irrigated land in the area is an astounding attraction. There are many significant landmarks including the Gal Viharaya, Vatadage, Lankatileka, Rankoth Vehera, ancient Hindu temples. Sigiriya rock fortress near Dambulla is another extraordinary feat of ancient Sri Lanka. The 180m high rock was the fortress capital during King Kasyapa’s time in the 5th century AD.The remains of his palace, the famous frescoes and graffiti at the top are well-worth the climb. The water gardens below and the views from the summit are stunning. 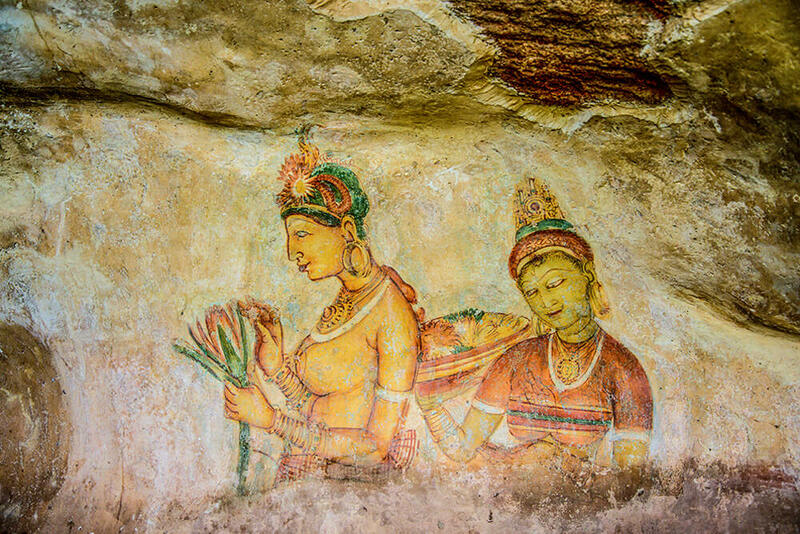 The nearby Dambulla cave temple has been a sacred pilgrim site of Buddhists for 22 centuries, and contains Buddhist mural paintings and 157 Buddha statues. 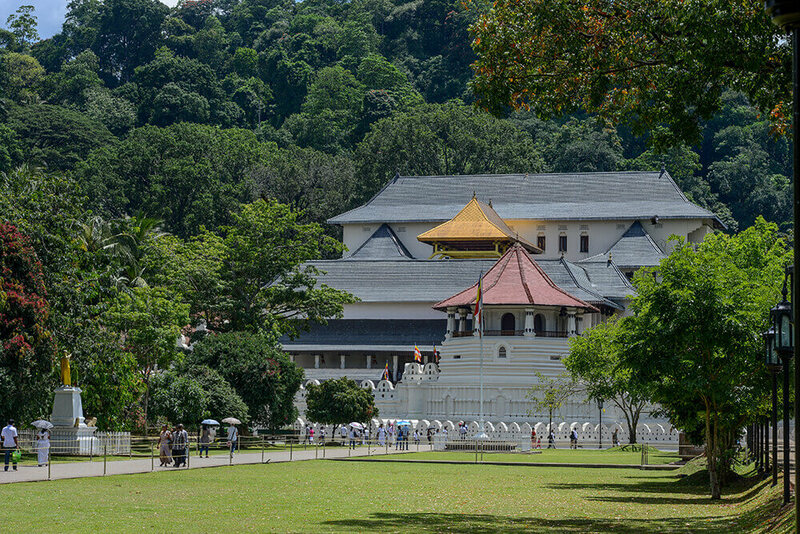 The city of Kandy in the central province of the country is the home to the sacred tooth relic of Buddha and the Temple of Tooth or Dalada Maligawa is its main cultural attraction. The rituals performed there every day and the annual procession attracts thousands of visitors each year.